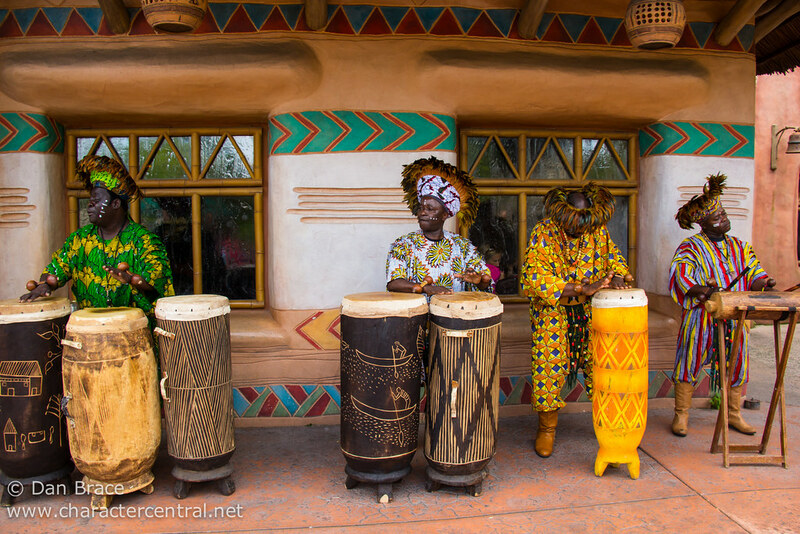 Celebrate the circle of life, and embrace the spirit of Hakuna Matata, with these skilled African tam tam drummers. Hakuna Matamtam are nearly always found outside Restaurant Hakuna Matata, in Adventureland. On cold or wet days they may be found inside, or inside Colonel Hathi's Pizza Outpost, just along the way, instead.